Click "Amazon" to visit a book or movie's Amazon page, where you can learn more and download/stream/order. Looking for a good thriller novel? Check out this recommendations list. I'm a thriller author (who at the moment happens to be offering a bestseller for free). Using results from a survey I send to my readers, I put together this list of what they consider the best thriller novels. The first part features new thriller releases, and the second part thriller bestsellers across various years. Recommendations span the sub-genres of crime thrillers, psychological thrillers, mystery thrillers, and suspense thrillers. Government agents and soldiers peel back the layers of a high-powered conspiracy. A former profiler investigates if a deadly train crash and a serial killer are somehow connected. As a woman grows close to a man in her life, she fears possible secrets from his dead wife's past. While on a luxury cruise, a journalist thinks she sees a woman thrown overboard, but nobody else on the boat believes her. The physical attraction between a female Russian spy and male CIA agent may not only cost them their careers, but put into jeopardy the safety of a US mole. A retired detective and two amateur sleuths try to catch a madman before he commits a heinous act even deadlier than the massacre he's already wanted for. A woman sees something startling out a train window and soon becomes much more than an observer, finding herself reluctantly mixed up in the aftermath. When a skilled assassin abandons his old life for a noble cause, an equally skilled operative tries to hunt him down. The life a suburban man thought he had seems an illusion when a stranger tells him a secret about his wife. With no phone reception during a snowstorm, a college student notices a little girl locked in a van and concludes one of the four others stranded with her at a rest stop must be the kidnapper. After a bomb goes off in Paris, a veteran spy is sent to find the perpetrator before he attacks again. When the NSA encounters an unbreakable code, its head cryptographer is soon fighting for not only her life, but the safety of the entire country. A wife in a bad marriage disappears, leaving her confused husband behind to confront lies and handle accusations. During Prohibition, a small-time criminal from Boston rises to the top of a bootlegging empire. A talented criminologist follows scattered clues after an intelligent psychopath out for mayhem. After an amateur hunter finds a bag of drug money, he finds himself hunted by a professional hitman hired to recover the cash. The FBI chases a killer of young actresses while pursuing a conspiracy against a powerful businesswoman. A well-liked, small-town man is accused of murdering his wife when she goes missing. Two men threatening the United States square off against an accomplished operative working for a classified government unit. A war veteran turned detective becomes more and more entangled in Louisiana's underworld. Tenants of a beautiful house are forced to follow the architect's bizarre rules, which have unexpected consequences on their lives. A man with a blank memory is rescued from the sea, only to find himself the target of a lethal conspiracy. A long-lost teenage girl is murdered shortly after returning home, and an unlikely suspect emerges in her mother's eyes. During World War II, an unsuspecting woman may be the only force able to stop a brilliant German spy from hitting the Allied powers with a harsh blow. When an accused criminal dies, the public demands his wife provide an account of his deeds, putting her at a crossroads with the truth. A middle-aged male journalist and young female hacker investigate the disappearance of a wealthy Swedish woman. A detective tries to find answers about his family's murder while investigating a separate crime. When a survivor of an abduction goes missing a second time, a Boston detective vows to catch the twisted perpetrator. PS: If you read a lot of books, check out my articles on Kindle Unlimited and Audible subscriptions to see if either membership is a good fit for you. Amazon Audible: What is it and should you get it? If you've listened to an audiobook and liked the experience, or haven't but think you might, this article is for you. It explains Amazon Audible, home to over 425,000 audiobooks. I'm an author who's not only listened to books on Audible, but released them there. I'm going to try to clear up questions I often hear about the platform to help you decide if it's something you'd enjoy. ​The only way to know for sure, though, is to try it. And luckily, Audible is offering a free trial. For a monthly fee, get a discounted audiobook every month. What's the fee and what does it specifically include? The first 30 days are part of an Audible free trial. After that, the Audible subscription is $14.95 per month. An audiobook is simply a narrated version of a traditional book. Same words, except instead of reading them, you listen to them. A narrator speaks and records a book's content for you to download (like you would a song). Authors sometimes double as their narrators, but often a voiceover artist reads the story. For certain titles, these are famous actors and actresses you’d likely recognize. ​You can buy standalone books on Audible or opt for a membership (AKA subscription). This article is mainly about the Amazon Audible membership, which has the potential to save you a lot of money vs. buying audiobooks as a non-member. The non-subscriber price for Audible books tends to be much higher, with many titles well over $30.00. For a flat $14.95, a member can listen to any audiobook in the catalogue each month regardless of its list price. If you don’t happen to download a book one month, the opportunity doesn’t go to waste. You simply receive a credit (ex, you can download two the next month). Members can pile up credits for five months until expiration. Members also get access to two Audible Originals each month. These are titles Audible produces (as opposed to a traditional book publisher or an author personally), and are only available on the platform (ex, no version exists on Kindle or as a paperback). Each month, six new Audible Original titles are released. You can download any two without using your monthly credit. They're bonuses. What types of books are on Audible? In brief, almost any type you can imagine. Fiction and non-fiction across multiple genres. Plus podcasts and other spoken media. 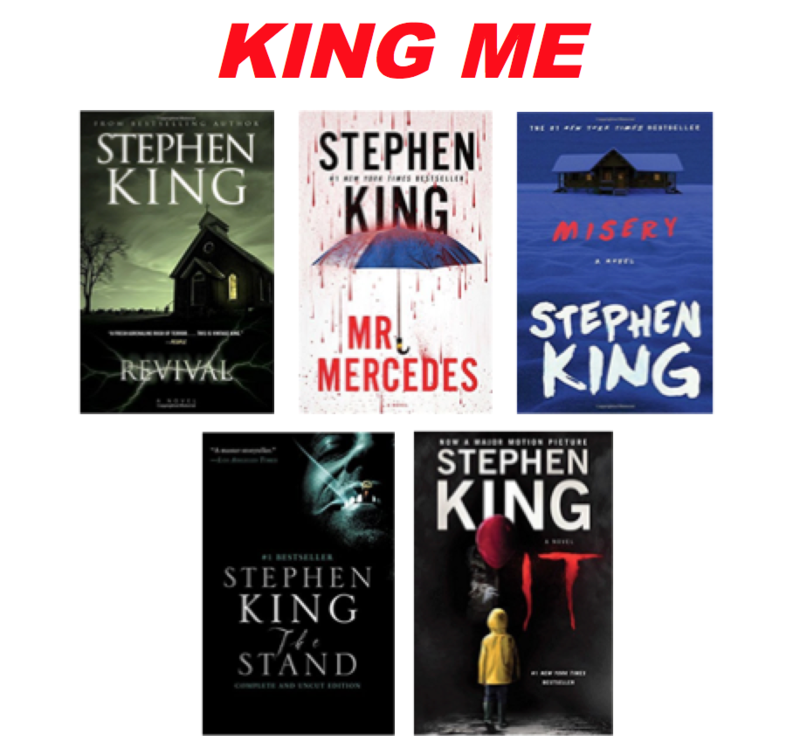 The vast majority of well-known titles are on there, ex books from big-name authors like Stephen King, Dan Brown, Liane Moriarty, John Grisham, and Gillian Flynn. A lot of indie books are available too. To check out the full range of titles and see what your favorite authors are up to on there, take advantage of the free trial. You can browse the entire catalogue and choose up to two free Audible books in your first 30 days. 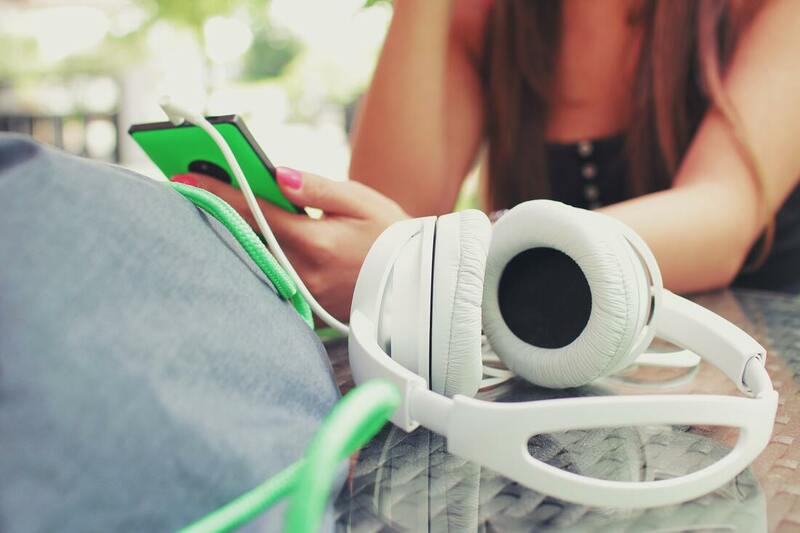 How do you actually listen to your chosen books? Download the Audible app. It's available for many products, such as iPhones, Android phones, Fire tablets, and Alexa devices. The app itself is free. ​You simply pay for your $14.95/month membership. You can listen on as many devices as you want. No additional fees apply, and content syncs between them. Ex, start a story at home on your tablet and finish it on the train the next morning on your phone. ​I do my reading/listening on an Amazon Fire HD tablet. If you have an older device and want to upgrade to this one or another newer model, Amazon offers a generous trade-in program. Is Audible part of Amazon Prime and Kindle Unlimited? Amazon audiobooks come from three major sources, with Audible the central hub. Amazon Prime audiobooks and Kindle Unlimited audiobooks are the other channels. Prime members get access to some Audible books, plus some podcasts, as part of their membership to that service without having to subscribe to Audible too. Similarly, Kindle Unlimited members can access over 2,000 Audible books without subscribing. ​However, for discounted listening to Amazon's full catalogue of over 425,000 titles, you'd need an Audible membership regardless if you use Prime, Kindle Unlimited, or both. Kindle Unlimited’s main benefit doesn't involve audiobooks, but as the name suggests, Kindle books, providing uncapped access to over 1 million. If you’d like to know more about that service, check out another article I wrote that gives a Kindle Unlimited overview. Is an Audible membership for you? Do you currently listen to audiobooks? If not, do you find the idea of audiobooks appealing? Do you usually listen to or read at least one book a month? Do you usually spend more than $14.95 per month on books? You're a multi-tasker. You can enjoy this version of a story while doing something else. Ex, listen while you drive. Or work out. Or clean out the garage. You have lighting challenges. If you often struggle to find good lighting to read, audiobooks wipe out the problem for you. Just pop in the headphones and hit "play," no matter where you are or how bright it is. You're an audiophile. Ie, you love music, radio shows, and other sound-based entertainment. Voice adds to the sensory experience of a story. If you particularly like that sort of entertainment, narration may really resonate with you. However, as mentioned, the only way to see if Audible is really for you is to check out the free trial. Kindle Unlimited: What is it and should you get it? Don’t know what Amazon Kindle Unlimited is? Or, do you know but just aren’t sure it’s right for you? Hopefully I can help. I’m in a unique position to because I’ve used Kindle Unlimited from both sides: as a subscribed reader and as a writer with books in the program. ​I have full visibility into what it is - and isn’t - and hopefully sharing this with you can help you decide if you want to try it out (a trial costs nothing, FYI). You pay a monthly fee, you get unlimited Kindle downloads. Simple enough. But what exactly is this fee? And what exactly does “unlimited Kindle downloads” mean? As mentioned, the service is free to try. After the first 30 days, the Kindle Unlimited cost is $9.99 per month. ​You of course also need a Kindle or Kindle-supported device. If you don't have one, I recommend Amazon's Fire HD 8. It's what I read on. You can also watch movies, shows, browse the internet, and listen to music. FYI, if you have an older tablet and want to upgrade to a newer one like this, Amazon offers a money-saving trade-in program. No matter what device you use, Amazon will automatically bill a Kindle subscription fee to a credit card of your choice (if you already have a card saved in Amazon, you can use that one), and as long as you keep paying, you get access to the whole service. The model is identical to Netflix’s. Now, by whole service, I don’t mean every single Kindle book on Amazon. This is a common misconception. A Kindle Unlimited subscription includes uncapped access to over 1 million Kindle titles, however, more than 1 million are for sale on Amazon. You get a lot. But not all. What’s the difference between Kindle Unlimited and Amazon Prime Reading? Many people believe Kindle Unlimited is included with Amazon Prime. It’s not. 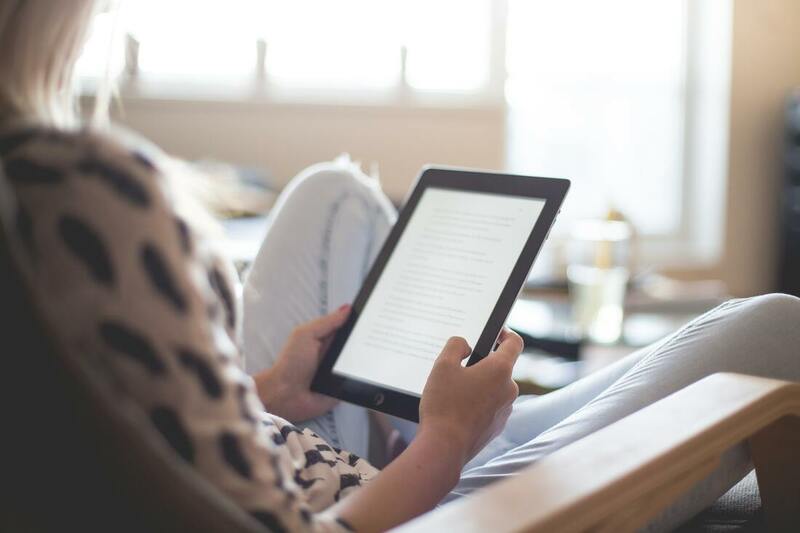 Prime members are instantly enrolled in something called Prime Reading, which gives them over 1,000 books and magazines, but not the far larger, million-title-plus catalogue on Kindle Unlimited. Whether you have Amazon Prime or not, you have to pay the Kindle Unlimited price ($9.99/month) to access the service. But that only kicks in after the 30-day free trial. The same is true with another popular book-based Amazon service, Audible. A subscription there is different than a Kindle Unlimited one. To learn more about Audible, check out this Amazon Audible overview I wrote. ​If you’re reading this article, chances are you heard something about Kindle Unlimited and thought it might be for you, and chances are trying it would be worth the few seconds it takes to sign up. Why are some Amazon books in Kindle Unlimited and others not? Authors - and/or their publishers - decide if a book will be in the program. Amazon doesn’t choose. As an author/publisher, if you opt to not have a book in the service, all Amazon shoppers could buy it for Kindle at the same set price, with you receiving the same royalty off each purchase. If you opt to include the book in the program, Amazon shoppers not in Kindle Unlimited would still be able to buy it at its set price - netting you the traditional royalty - while program subscribers could download it for free. Though authors/publishers don’t earn a traditional royalty when a Kindle Unlimited subscriber downloads their book, they do get some income as part of a revenue-share agreement with Amazon based on a math formula out of scope for this non-technical article (but if you’re interested, do a Google search for “Kindle Unlimited earnings formula”). The earnings for an author/publisher per download are typically less if a reader is in Kindle Unlimited vs. not in Kindle Unlimited. If that’s the case, then why would an author/publisher choose to put out Kindle Unlimited books at all? The answer varies, however, based on my own experience and what I’ve heard from others in the program, exposure is a main driver. There are a lot of Kindle Unlimited subscribers. And if you have a book in the program, all of them can read it for free. Without a transactional-charge barrier, people are of course more likely to click the download button. Thus, you can reach many more readers than you would’ve at a universal set price. The long-term benefits of this exposure for an author/publisher could far outweigh the reduced profit per download. What are some examples of Kindle Unlimited books? The program spans all sorts of titles across fiction and non-fiction in all sorts of genres (and also a selection of magazines). You’ll of course find many indie books on there, especially from newer writers. Why? As mentioned, exposure is a big benefit of releasing a title into the program, and in an effort to make a name for themselves without the luxury of a large marketing budget, indie authors/publishers, especially newer ones, need as much exposure they can get. That being said, a lot of well-recognized authors are also part of the service. For instance, Suzanne Collins, Melinda Leigh, Gregg Olsen, and JK Rowling. Is Kindle Unlimited right for you? Do you like reading on a Kindle or Fire tablet? Do you typically spend more than $9.99 per month buying books? Do you like reading both well-known authors and authors who aren’t household names? Lastly, there’s only one way to know for sure if it’s for you. And that’s to try it free. ​A young New York limo driver needs money to help his brother out of a jam. With time running out, he only has one realistic option: team up with a coworker to rob the mob. In 1929, Helen Blackstone is forced to do the unthinkable—return to her childhood home. A place full of secrets and lies … where nothing is ever what it seems. ​After an attack a woman loses her memory and all she can remember is that her child is in danger. Before she can save her child, she must find out what led to her memory loss. But that unravels a trail of family lies, deception and a shocking betrayal. While you're shopping on Amazon during Cyber Week for other people, treat yourself to an awesome holiday deal on Kindle. 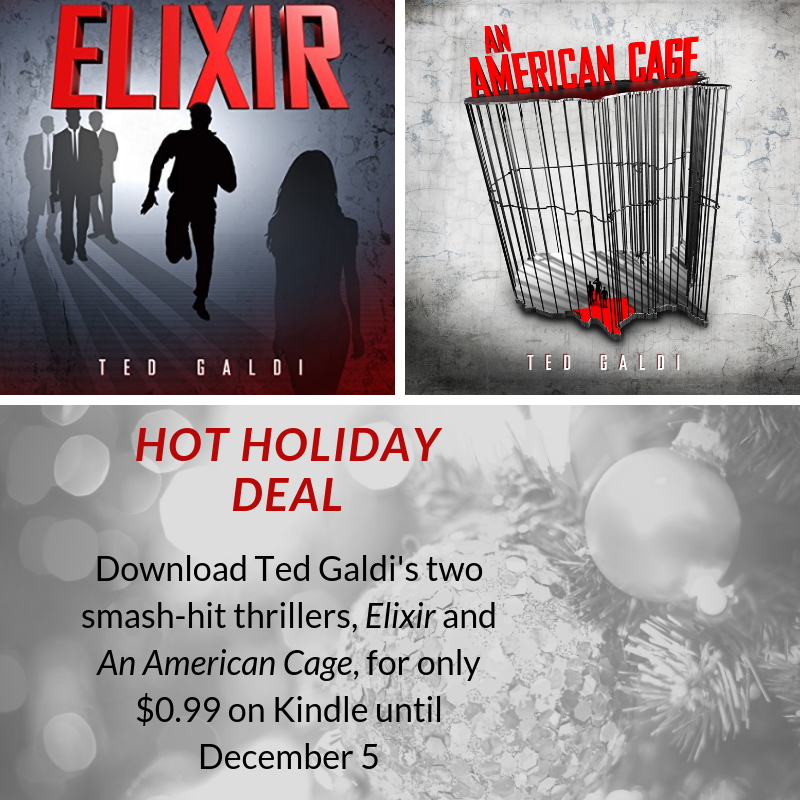 I temporarily slashed the prices of my first two novels - each a #1 bestseller and award winner - to only $0.99 for the week. ​The deal ends December 5, so act fast! Hey readers. I know a lot of you are always on the hunt for a good book bargain. I put together a list of websites that proactively round up majorly discounted - and often free - e-books. If you have any other quality sites, mention them in the comments. What's on your list? Leave a comment and let me know!